True to TORQ’s philosophy, we have worked tirelessly to produce what we believe to be a class-leading product. Avid users of our products know what we are talking about here. 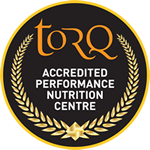 From our flagship product, the TORQ bar, through to our energy and recovery drinks, we have used the latest research and blended highly potent natural ingredients to produce what we honestly feel are the most effective performance products on the market today. TORQ gel is no exception. In line with the formulation used in our energy drinks, we have blended Maltodextrin, a long chain complex carbohydrate with Fructose (fruit sugar) in a 2:1 ratio. The peer-reviewed published research, one study of which we actually reference clearly on the front of the pack, have found that this blend of carbohydrates actually delivers 40% more carbohydrate than traditional formulations. Traditional formulations tend to be Maltodextrin only, or Maltodextrin/Glucose blends. Strawberry Yoghurt and Black Cherry Yoghurt. Orange and Banana (yes, orange and banana mixed together). 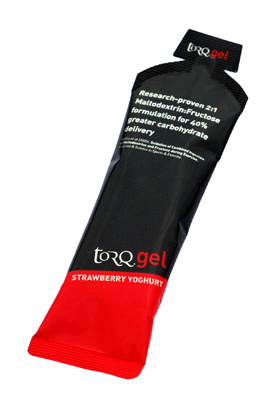 The final TORQ gel (the 4th one if you’ve lost count) contains Forest Fruit natural extracts and also a very high dose of natural Guarana. There is more caffeine in a single sachet of this gel than there is in a certain very well known and very well marketed caffeinated energy drink. 89mg is almost double the caffeine dose of any other gel on the market and our caffeine comes naturally from a pure guarana extract. If you click on the link below, you can download our new brochure page with more comprehensive details about the new TORQ gel. The first TORQ gel will be sold to the public at Earls Court this Thursday 11th October and they will be available to buy online from next week. We are now taking orders by telephone, but we will not be dispatching any orders that contain TORQ gelsuntil Monday 14th October.  If the product is not online by early next week, you will still be able to order by phoning 0845 128 4312 and leaving your payment details with us. Strawberry Yoghurt, Black Cherry Yoghurt and Orange & Banana SRP: £1.25 each. If you phone us and order 20 gels at a time, we will do any combination of flavours for you and charge £1.15 per uncaffeinated gel and £1.35 per caffeinated gel. 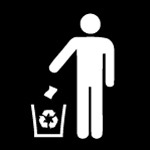 WE WILL NOT CHARGE YOU FOR POSTAGE AND NEVER HAVE DONE. Online options may be more limited, but we’ll do our best to put a range of mixed box options up there.